The Arts Leadership Program is designed to cultivate a new generation of artistic and administrative leaders for the American Theater with a focus of engaging people of color, women and members of other groups that are consistently underrepresented in the field. In partnership with The League of Resident Theatres (LORT), the Arts Leadership Program recognizes both the need for arts leadership training, and that the lack of representation among people of color and women in the leadership of American theaters is a problem for the field and its ability to represent the spectrum of the American story now and in the future. Workshops in arts management, including leadership skills, group dynamics & Conflict resolution, mission statements, and issues revolving around equity, diversity, & inclusion. Panel discussions with professionals from around the country within the field regarding the issues they face in their various communities. Demonstrate artistic and administrative vision. Collaborate with all members of a team. Engage within the community at large. Think outside the box and innovate. Articulate the theatre’s role and relevance in global diversity and current events. Student Applicants in Region 8 must participate in all workshops scheduled through the Arts Leadership Program and, if the student desires to be considered for the National Festival, participate in the Arts Leadership Creative Pitch. 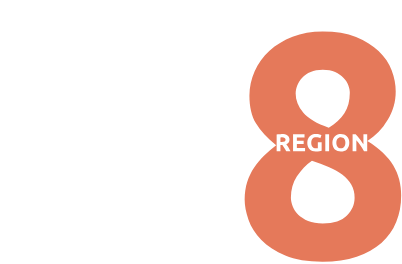 One student from each regional Arts Leadership Program will be selected to participate at the National Festival at the Kennedy Center in Washington, D.C. The national KCACTF/LORT ASPIRE Leadership Fellows Program is designed to cultivate a new generation of artistic and administrative leaders for the American Theater with a focus of engaging women of all races and men of color. This diverse national cohort of fellows assembled from all of KCACTF’s eight regions will engage in topics concerning Equity, Diversity, and Inclusion as well as a weeklong curriculum designed to undergo leadership training, investigate institutional challenges in the profession, and create professional networking opportunities in the field. The Arts Leadership Program is open to all students. Applicants do not need to be majoring in Arts Administration or a related field to be considered. Participation is limited to 15 students. Leadership skills as evidenced through the applicant’s collegiate activities, civic volunteerism, and experience with arts organizations. Communications skills as evidenced through a written Statement of Purpose, as well as the recommendation letters, addressing educational and career goals. Open to all students, participants will hear from current professionals working in the areas of arts administration and management. A workshop schedule will be announced prior to the festival.